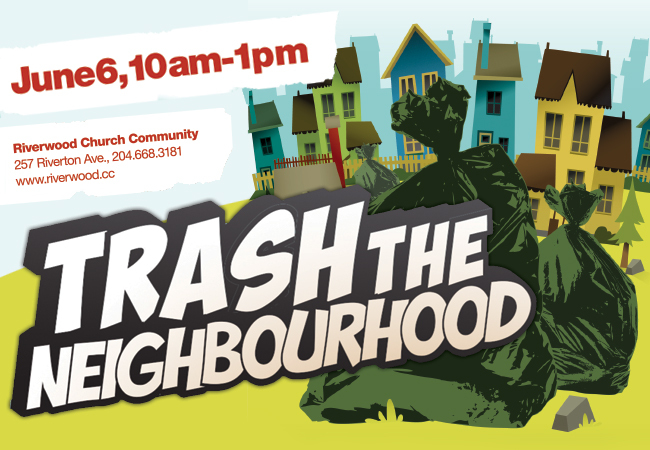 Trash the Neighbourhood event on Saturday, June 6, 10am – 1pm, meeting at the Riverwood Church compound on the corner of Gordon and Stadacona (address 270 Gordon). We will again be partnering with the City of Winnipeg and Haulrite Environmental (garbage collection service) and expecting a couple hundred people to come out and volunteer. We will again have a BBQ lunch afterward.